Buying the best duvet covers is not as simple as ordering whatever you find online. You need to know the materials used, the thread count, the breathability and many other factors. A duvet cover is going to take all the beating on your bed, so the higher the quality the better. Besides, it saves you money by making your costly duvets last a long time. Duvets are very common and so are the duvet covers. Most likely, you have one of each at home, certainly more than one. However, most people have mattress toppers, duvet covers, duvets themselves and many other types of beddings. The mix is quite a quagmire and so it can be hard to tell a humble duvet cover from the rest of its cousin beddings. From the two terms – duvet and cover, you can be able to tell what is a duvet cover. 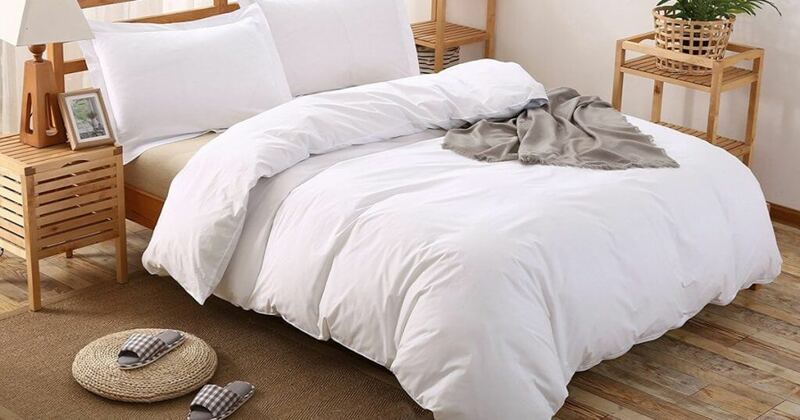 Now, a duvet is expensive and it does a perfect job of protecting your from the cold as you sleep. That is why you need to use it with something else – a cover. But buying the best duvet covers is not always easy! But it need not be hard. A cover is just that, something that you slip on top of another for protection. Thus a duvet cover is used to protect the duvet. But protection is not all there is to it. To make it a bit simpler, just think of the duvet cover in terms of a pillow case. When you slip your duvet inside the duvet cover, the part that remains on the exterior, the visible part is the cover. Many people love these covers for different reasons, but protecting the duvet itself is the most important benefit. Since duvet covers do not cost as much as the duvets themselves, many people figure, and quite rightly so, that it is better to buy a cover. That way, the cover takes all the beating, all the exposure while you keep the duvet safe. Of course, knowing what is the best duvet protector is good. You see, there are so many of them in the market. Each manufacturer claims theirs is the best. However, to know that you have got the best value for your money, read this article to the end. One of the reasons, as we have already discussed above, is that a duvet cover gives your expensive duvet protection. Protecting the duvet enhances its lifespan. With a good cover, you can be many years before you go back to the shops to buy a duvet cover. If you use the duvet when it is exposed, it means it will be exposed to elements, all the human traffic, dust mites, pet hair and dander and many more indoor allergens. Just buy a cover that problem will be sorted out. Your skin secretes body oil as you sleep. Then there is the little issue of dead body cells rubbing onto the duvet. You do not want to sweat on your costly duvet. That is why you should get the cover. When you have come from that late night party and you are too tired to get the makeup off, you do not want to crash on your duvet. With a cover, just roll over and go to sleep. You just need to toss the duvet cover into your washing machine the following day and you will be good to go. Think about it… you can actually clean the duvet cover in a washing machine. Now, this is something that takes a huge load off your hands. You will also find that these covers are designed to require as little care and maintenance as possible. As a result, they do not sustain dust stains, pet hair and other stuff that you do not want on your duvet. These covers also dry quickly. Thus, you can wash them and use them again the same day. Besides, the job of slipping them off the duvet is quite easy. So also is the job of slipping the covers back on. There is no better way to protect the integrity of your duvets than using their covers. Yeah, almost similar to bed sheets. Thus, they can compress and fold small. You see, duvets have an outer shell that protects the goose down fill. However, duvet covers are lighter and as a result, it is easy to buy as many as you like, for change and for your guest bedrooms too. When you store them away in your cabinets or drawers, they will consume minimal space. Depending on the season, the room and your interior décor style, you can buy different covers for different times. Slipping the covers over the duvets is so easy and so you can change them any time that you wish. For the kids’ rooms, you can buy the best duvet covers with different types of flower prints, perhaps even some with their favorite toon characters. Of course, you could buy comforters if you like. But how many? They are costly and they will leave quite a dent on your wallet. Thus, the best thing to do is to use the duvet covers. They come in all sizes and styles that can meet the needs of young as well as old people. Comforters tend to be limited in styles. We have cold sleepers and hot sleepers. Now, if you belong to the latter category, you will find that you do not need to use a duvet all the time. Sometimes, you will have to pull out the duvet and use the cover alone as a blanket. When you use the duvet cover alone, you will find that your bed still looks great, but it is not as uncomfortably warm as it would be with the duvet. You can also use the duvet cover to control the temperature of your duvet. If you are a cold sleeper you need a duvet that can keep you as warm as possible at night. If you are a hot sleeper, you will need a duvet that can keep you comfortable. There are duvet covers made for hot and cold sleepers. Just order the one that is most convenient to your needs and you will sleep better at night. This is determined by what sizes of beds you have at home. Thankfully, you do not have to search far and wide. Wherever you will be buying your duvet cover online, you will find different sizes under one roof. The most common sizes that many people buy include king size, queen size, full queen, twin and twin XL. However, with different suppliers and manufacturers, you may also find sizes like California King. California king size means that you get a longer duvet cover, but one that is a bit narrower at 72 inches wide and 84 inches. Compared to king duvet cover which is considered to be the widest of all mattress and bedding sizing at 76 inches wide and 80 inches long, you can see the difference. Queen size duvet cover measures 60 inches wide by 80 inches long. A twin duvet cover measures 39 by 75 inches while a twin XL size duvet cover measures 39 by 80 inches. A full size duvet cover measures 54 inches by 75 inches. If you are gunning for the best duvet cover, then it needs to be made of the right materials. There are many types of duvet cover materials. As you will see below, each has its own benefits. This is the most common of all materials that are used to make the best duvet covers. Cotton is loved for its softness, breathability and the ability to regulate the temperature when one is asleep. One of the most popular types of cotton for these covers is the Egyptian cotton. You can never go wrong with such. These are also popular with many people. Flannel is not really a material on its own. It is just an enhanced type of natural material. For example, cotton is brushed to give it more loft and fluffiness thus getting more warmth and insulation when you sleep. Linen is without doubt one of the most popular materials for beddings. The linen fibers are made from the flax plant. They are enduring, breathable and a bit heavier than their cotton counterparts. This kind of cover is best for places that get cold at night. It also wrinkles a bit, so you should be aware of that as you buy. This is a man-made fiber. However, it has been used widely in clothing, beddings and many more. It is quite breathable, soft to the touch and is beautiful. You can never go wrong with polyester beddings. There are other materials such as bamboo rayon, but the above three are the most commonly used. Velvet duvet covers are for people that cherish luxury in their bedrooms. Its silky-smoothness makes it a good addition to a classy bedroom. Besides, velvet is more of a texture and so velvet duvets are found in many colors and styles. Velvet can attract fur and other indoor allergens like dust mites, so it will require more care and maintenance. However, it is definitely worth it. Color is quite a big deal when it comes to duvet covers. It is not just about matching what you have for your interior décor, but it is because there is a psychology behind color. 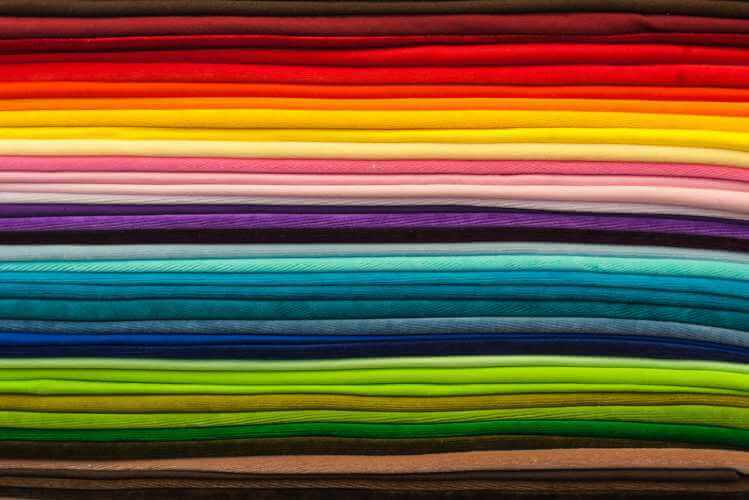 Here, you will see the most common colors for duvet and just why they have been hand selected. Grey color is seen as the everlasting color. Being somewhere between white and black gives this color a timeless look. Having it in your bedroom will make you feel forever young and inspired. Besides, it adds a rustic and vintage touch to the space without bringing about a somber mood that a color like black would bring. White is the color of purity, at least in many cultures. Because of its lightness, it creates an illusion of space and at the same time, adds a touch of cleanliness. You have to do extra work to keep everything clean, but it is well worth it. When you have a white duvet cover, the calming effect of this color will make you sleep much better. If you can get a floral white duvet cover, it should add a vintage touch to your bedroom. Creamy white is also a good vintage color. They say purple is the color of nobility. When you incorporate purple in your bedroom, it will add a touch of luxury, making you feel even more prosperous than you are. Of course, the effects of these colors is on the subconscious. Purple can make a simple bedroom look so luxurious. There is always an element of youthfulness in green. Green is the color of nature and so it has quite the calming effect on those raw nerves. If you have a touch of green in your bedroom, you will enjoy a calming effect all the time you get in. If you can get a moss green color for your duvet cover, it will add a nice touch of vintage style. Yellow is for warmth and cheer. It is also the color of the sun, creativity and many more good things. When you sleep in a yellow bedroom, you will feel more inspired, more aggressive and cheerful. Remember, yellow may also induce some cunningness and deceitfulness in you but the benefits are more than the cons. You can look for a buttery yellow color if you want to create a vintage effect in your bedroom. Black is a no-nonsense-I-mean-business color that is mostly associated with professional spaces such as offices, with politicians and business executives. While black duvet covers are not very popular, if you want minimal care and maintenance, a color that hides stains very well, go for black. To some people, blue is the color of sadness. However, that is not quite right because blue is mostly known for its calming effect. In fact, its soothing effect is said to be good for lowering high blood pressure and calming frazzled nerves. The only downside is that dark colors do not go with a vintage décor. Well, the higher the thread count per square inch the better, but with about 400, it should be a good cover. Thread count just means the number of yarns that have been used for each square inch. More means less breathability, but endurance and durability and vice versa. These fasteners are made for one purpose only, that of securing your duvet while it is inside the cover. If you buy one without these, then it could be hard to prevent your duvet from bunching to one side. Some come with strap fasteners, and ties that fasten the duvets tightly to the interior of the cover. In many places, you will find them saying that it is best to avoid duvet covers with zipped enclosures because such can warm when you machine-wash the cover with hot water. Buttons or clasps always work best. An enclosure is for securing the open side through which you insert or pull out the duvet. When looking for the best duvet covers, you need to know what brands to go with. There are many covers and so it can be a bit hard to know when you have the best one, and when you don’t have it. 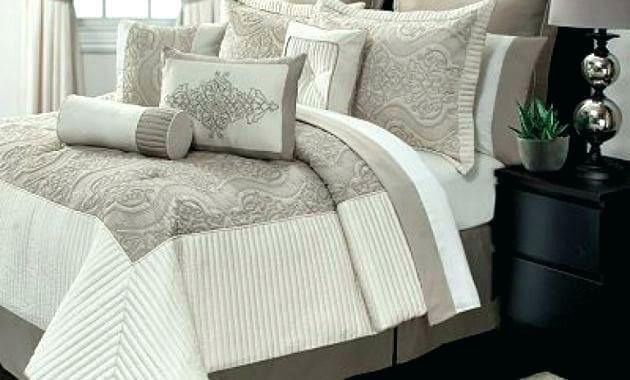 In this section, we will look at different popular duvet cover brands that you can buy. Some of the brands are real household names when it comes to beddings. Thus, you can buy a duvet cover with confidence knowing that you will get good value for your money. However, is the brand name all that there is to buying a good duvet cover? Apparently not, but it is a good place to start. IKEA is without doubt one of the biggest brand names in North America when it comes to duvet covers. Considering the large selection of these covers that they have under their roof, it is quite easy to see why. Simply said, there is a duvet cover for just about everyone, irrespective of how diverse your needs are. Soft and bold prints are available, as are combinations of two shades of one color. Well, the choices that you have for your duvet covers are eye popping to say the least. Just choose what you like for now and then later, you can buy another set of duvet covers for a change. Having come to the USA in 1985, IKEA has continued to meet different household needs. They keep on adding new and trendsetting products. The duvet covers are just a few of their incredible products. Overall, the company was established in Sweden in 1926 and has so far been meeting many needs, establishing an incredible reputation over that time. When looking for IKEA duvet covers, you can expect fantastic names for different styles. For example, there is the Tovsippa duvet cover. Now, this one is quite something and so affordable. Others are like the JÄTTEVALLMO duvet cover, SPRÄNGÖRT, STENÖRT and many others. As you look at these products on the IKEA website, you will find reviews against each one of them. Thus, you can buy one according to how well it has been rated by other users. The higher the number of stars that a duvet cover has the better it will be for you. You will also see the specific sizes of the duvet covers. That way, you can buy according to the size of your duvet. Another thing that you will want to consider is the number of thread counts in the cover. The higher the better as it ensures longevity and durability. All the duvet covers sold at IKEA have their matching pillow case. You want the top of the bed to look uniform and stylish altogether. That is right, there is a duvet cover for every budget. Whatever amount of money that you can spare can buy you a duvet cover from IKEA and a matching pillow case. For example, with just $19, you can get the MÖJLIGHET duvet cover and pillow case. Likewise, if you need a high-end one, there is the PUDERVIVA duvet cover and matching pillow case sold at $119. In between there are others that cost from $79 to $24. Whatever you need, IKEA has something for everyone. Autonomous is not only known for trendsetting ergonomic office chairs, stools and standing desks. On the contrary, we keep adding more products to our lineup so that we can make this a one-stop center for all of your office and household needs. One of the latest additions is the duvet cover. It is a trendy and effective item that you need to incorporate in your bedroom setup. This duvet cover is made from 100 percent Egyptian cotton. This means there are no synthetic fibers to irritate your skin. Thus, if you have sensitive skin and you need to sleep on a nice and soft cover, this is the best choice for you. The use of natural fibers gives these covers a smooth and satiny feel on the skin. Tell you what, you can sleep completely naked on and under these covers and you will feel so comfortable. The use of hand-woven cotton has many benefits. One of them is that you get a cover that is so durable. With good care, these covers can last many years. the complex satin weave ensures that you have the very best experience all the time. You will have a quite durable duvet cover on your hands. Another thing that you will love about this duvet cover is that it is so easy to clean. Ok, many other covers are easy to clean too, so no big deal there. However, there is a difference. Most other covers come with zippers for their enclosures. Zippers can warp and lose shape when washed in very hot water. However, the Autonomous Dreamer duvet covers are made with buttons for their enclosures. These buttons do not lose shape at all. Now many of the duvet covers that we buy in the market have an offensive smell when they come from the market, brand new. But not the Dreamer duvet covers from Autonomous! These are ever fresh from the very first day that you buy them. You just buy them, slip them over your duvets and just go to sleep. We all want a duvet that can regulate our sleeping temperature. The breathability that you enjoy from the Dreamer duvet cover is out of this world. Whether you are a hot or cold sleeper, this duvet cover is going to regulate your sleeping temperature. You will never be blistery sweat when you sleep, even in summer. Finally, care and maintenance required for these duvets is very simple. All that you need to do is toss it into washing machine at the right temperature and you are good. The threads do not warp or pile up with many washing cycles, so you do not have to worry about that. As they are very affordable, you can order several covers so that you interchange them and from time to time, give each a rest. 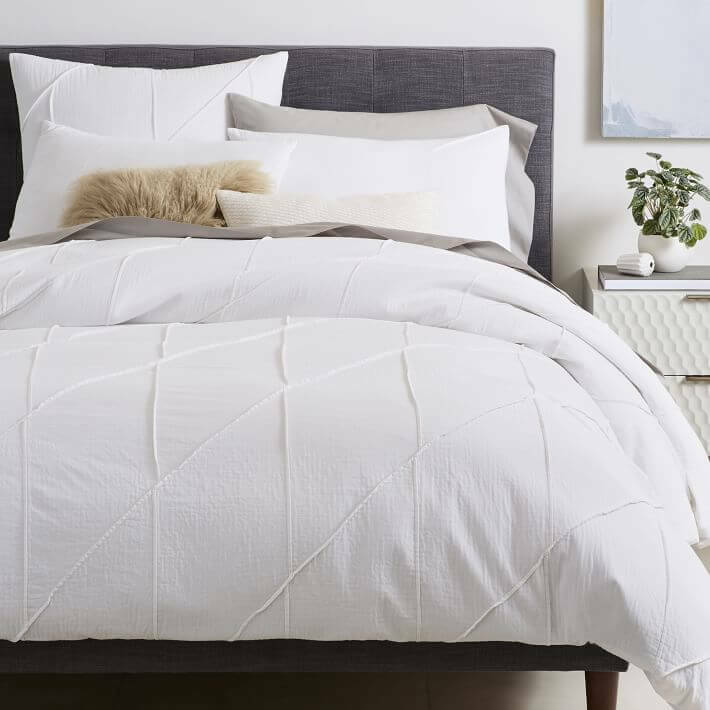 In your search for the best duvet covers, you will definitely come across reviews for many covers under the West Elm brand name. This is another of the best names for many bedding items. You will love the variety, the awesome prices and the ambience that their duvet covers bring into your bedroom. But first, some history … The West Elm business was established way back in 2002 in Brooklyn. One of the most notable things about them is that they have been very consistent in quality. After all, they design more than 90 percent of their products in-house. If you are the sort of person that only wants to buy Made In America, West Elm is your go-to-place. But are their duvet covers any good? Of course they are. You will be surprised at their affordable prices too. Their duvet covers not only come in all sizes and styles, but they are made of a wide variety of materials. One of them is the Belgian Flax, which is smooth on the skin, very breathable and is odorless even from the very first day when it is brand new. You will also love the organic washed cotton covers. Then there are the crinkle velvet covers, which are just gorgeous. Whatever you need, they have it for you. They even have shape shifting covers, yes, like a character that you would see in the movie X-Men. You will also notice that most of their duvet covers have a thread count of 400. Now, to some people that is low, but the truth is that thread count does not determine the strength of a cover. Thus, you can buy with confidence knowing that your duvet cover will last a long time. Besides, the required thread count range for the best duvet covers is 300 to 600. They have a variety of prices, with some duvet covers costing more than $200 and some costing as low as $25, perhaps even lesser than that. However, most of the time, they have a special sale going down and so you can save a good chunk of money especially when you are buying several pieces. Whether you want king, queen or other duvet covers, Macy’s has all of these and many more for you. In fact, they also have more selections for people in the hotel industry. Another thing that you should know is that Macy’s has regular covers as well as luxury, high end covers. Your budget and your needs determine what you can buy from them. For most shoppers, Macy’s duvet covers come at a higher price than you will find on other outlets. However, if you can have a cover that will last a long time, then perhaps the high price is well justified. One thing that you will love about them though is the online shopping experience. First, there are discounts going down all the time. You had better cash in on such. Online shopping at Macy’s is so simplified. On the left hand side of their website, you will find a selection for sizes, colors, fabric, care and maintenance, features and, of course, the price. This saves you time as you can just tick the boxes and get to checkout soon enough. If you want designer duvet covers, they are here for you. There is a Ralph Lauren collection, Christian Siriano, Donna Karan, Trousseau and many more. Your bedroom is your haven of tranquility and so Macy’s takes no chances at all when bringing you beddings. Before you buy the best duvet covers from Macy’s, you can first check the customer reviews and ratings for different models, brand names and even fabrics. Talking of fabrics, there are Egyptian cotton covers, polyester and even cotton. Higher customer ratings indicate a better the product. If other people did not like a certain duvet cover, then you certainly are not going to like it either. We could go on and on waxing lyrical about the covers that you will find at Macy’s. Remember, this is a shopping outlet that brings you models, styles and fashion from many brand names out there. The variety is out of this world! Kohl’s is one of the most renowned brand names when it comes to kitchen, bedding, home, clothing, toys and shoes, to name but just a few of them. As a departmental store, you can be sure to find many brand names for duvet covers under their roof. There is a duvet cover for everyone. Whether you are looking for a king, queen, twin, twin XL or any other duvet cover, you will find it under this roof. 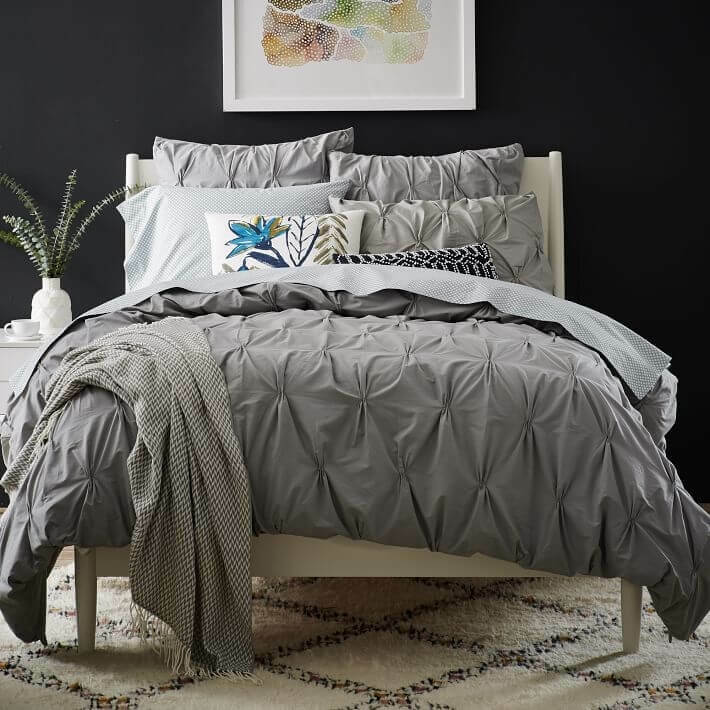 Just as you would find at Macy’s, buying a duvet cover at Kohl’s online retail center is the same as walking into any of their brick and mortar stores. By this, we mean that you get an exhilarating experience at the store. You can choose the best duvet covers that you want by their size, gender, color, activity and the material. Now, under material, you will find duvet covers that have been made with microfiber, flannel, cotton, polyester and others. You can also choose a duvet cover depending on your budget. You will find price ranges of between $25 to $50 all the way to $250 to $500. If you want a really high end duvet cover, it is available here. When you buy a cover, you get a cover set. This means that pillow cases of the same material and color are included. You will also find so many styles and colors to choose from. No matter how exotic your bedroom looks, there is a duvet cover for you under this roof. Maybe you are into designer beddings. What the heart wants, the heart gets. You will find many renowned names under the Kohl’s roof. What Kohl’s have done is collect high quality duvet covers under all prices from many designers and put them under one roof. As you buy, you can also read user reviews under each brand or style of duvets cover. This can help you make the right decisions all the time. Besides, you do not want to buy blindly without knowing what to expect. You just want a good cover to make your bed more sleep-friendly. There are many things to consider when you are looking for the best duvet covers. Warranty, return policy and of course the price are very important. However, we always say that you should never sacrifice quality on the altar of price. It is best to pay more and get features worth that money, than otherwise. Besides, you do love your beauty sleep, no?